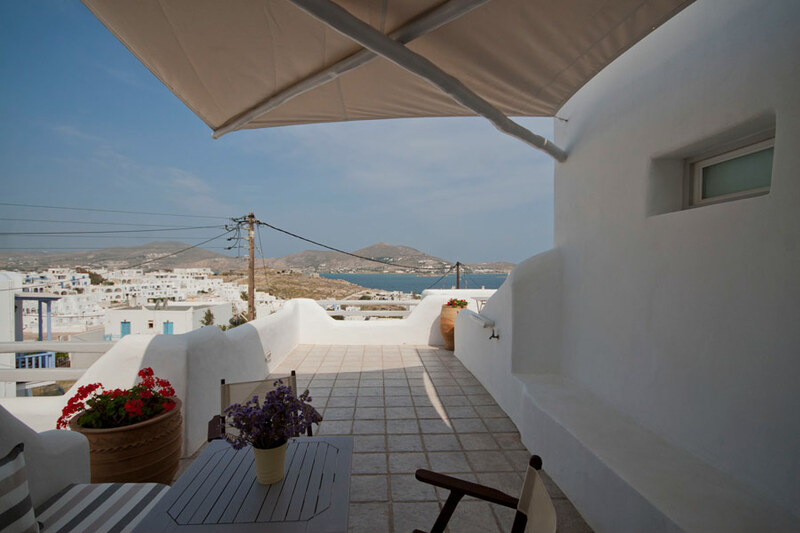 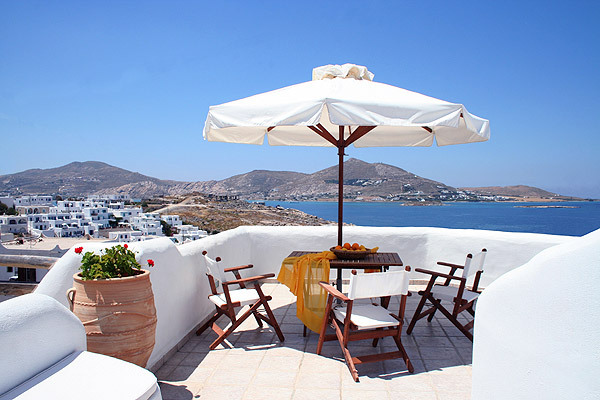 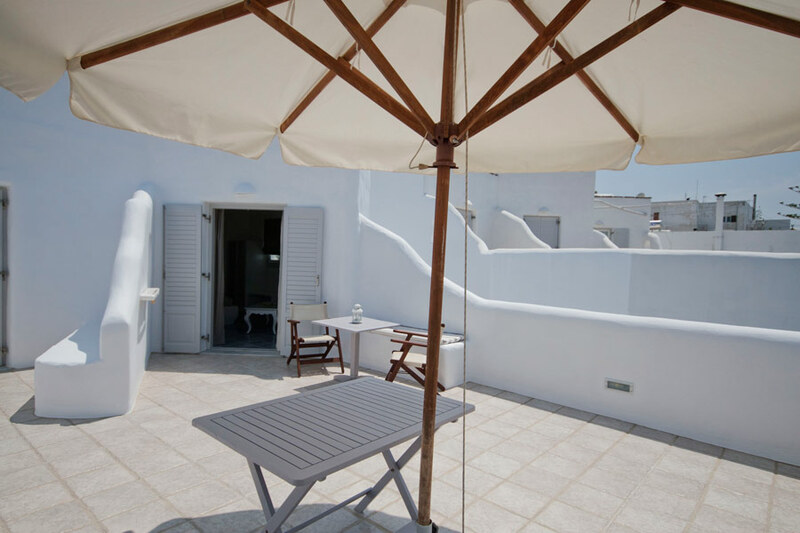 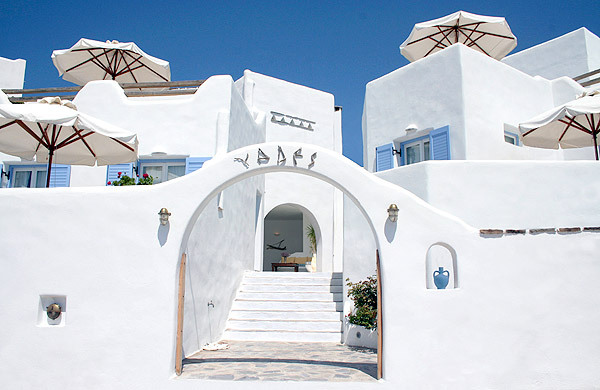 Yades Studios and Apartments is a brand new complex in Paros of exceptional Cycladic architecture with fully equipped Studios - Apartments that will get you excited with their unique quality and aesthetics. 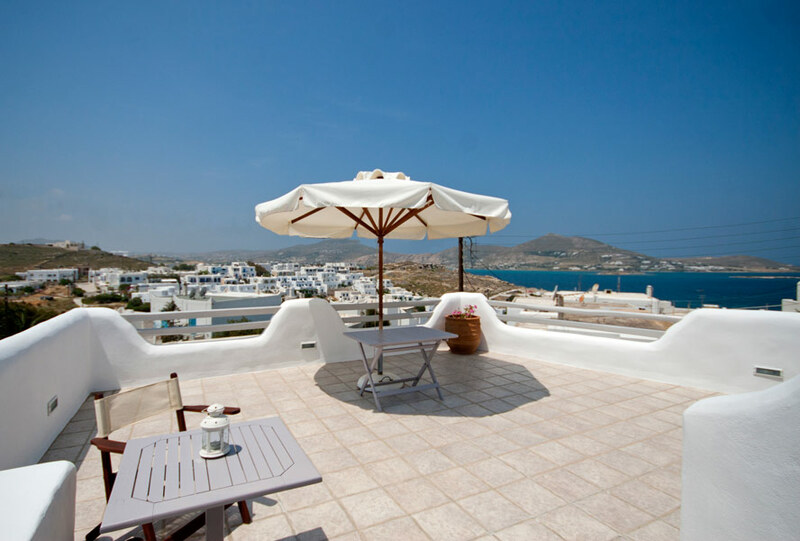 Yades is situated high on the hillside of a very beautiful and quiet part of Naoussa and it has a panoramic view to the bay of Naousa and the surrounding mountains. 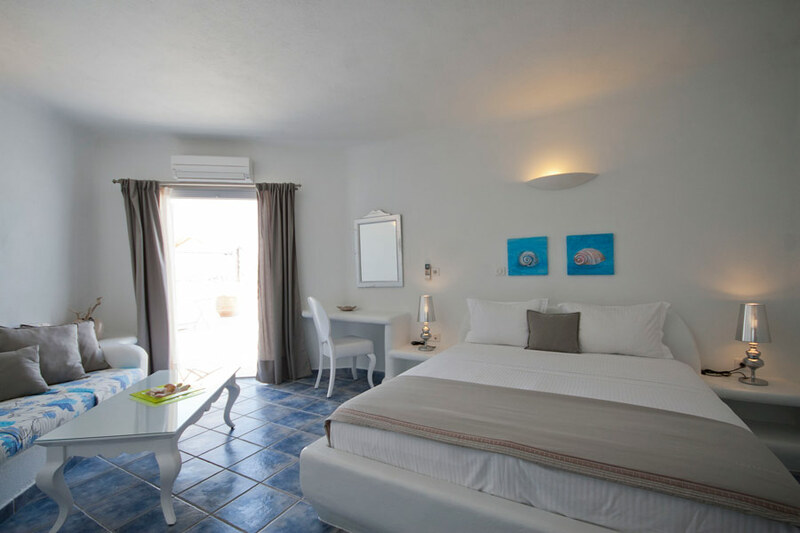 The complex is only 5 minutes walk (400m) from the center Naoussa and 2 minutes walk (150m) to the nearest sandy beach Piperi. 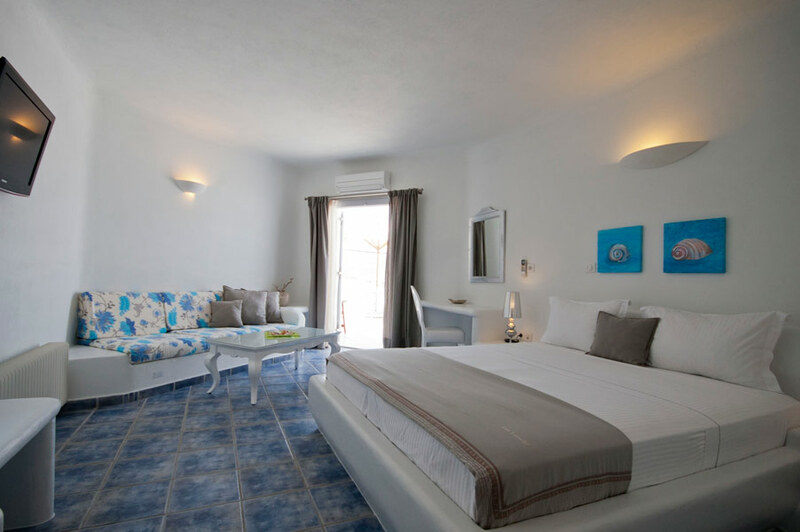 Spacious and beautiful units fully equipped and decorated carefully will ensure a very pleasant and unique stay. 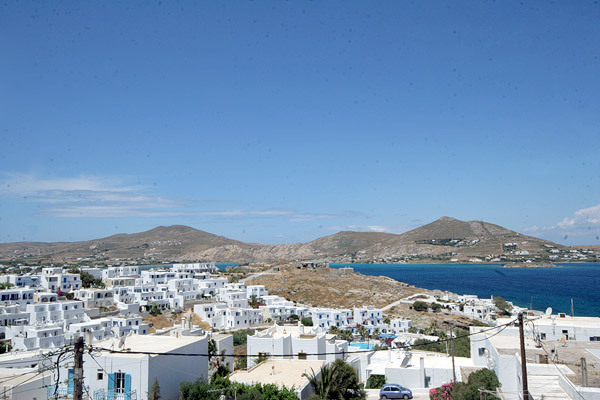 All the units have large verandas where you can relax and enjoy the magnificent sea view. 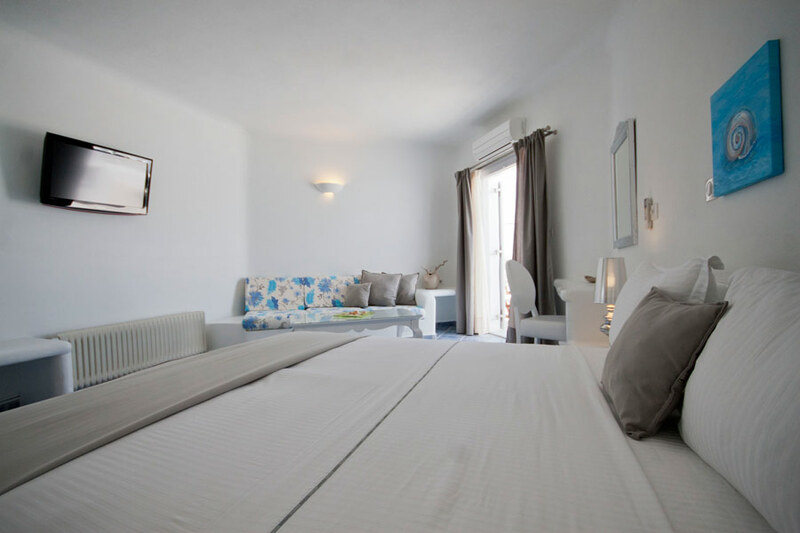 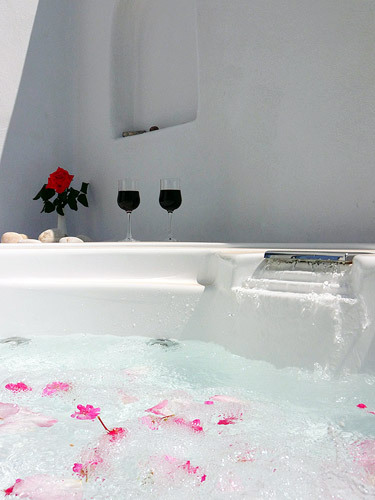 The units are specially designed and therefore ideal for couples and families.